According to the dictionary, migration is a movement, a journey, a resettlement, and that’s exactly what we can do without when it comes to keeping our users productive. Even the slightest ‘commute’ may have a disruptive effect. And this is also precisely why ‘migration’ remains one of the most intimidating topics in IT-management. Wouldn’t it be great if moving between operating systems went seamlessly, and migrations were a thing of the past of which we think back with a melancholy smile? Managing your workspaces with Scense means; shaping and optimizing the workspace including applications, printers, drives, settings etc. for each user. The hardware and operating system, whether virtual or real, are just vehicles that render the user’s workspace while he’s logged on to it. The Administrator decides how a workspace will behave in every situation. Different (versions of) applications may be offered on different operating systems, and Windows settings will be ‘translated’ to match the OS. The end-user just needs to log on. This means that a user can work on Windows 7 in the branch office, and on Windows 10 at the central office. At home he might sign in to his workspace on a Windows Server 2016 remote desktop. Much like finishing your Netflix movie on your phone after watching the beginning on your tv. Are we migrating? If so, we do it constantly. Or should we just stop calling it a migration? 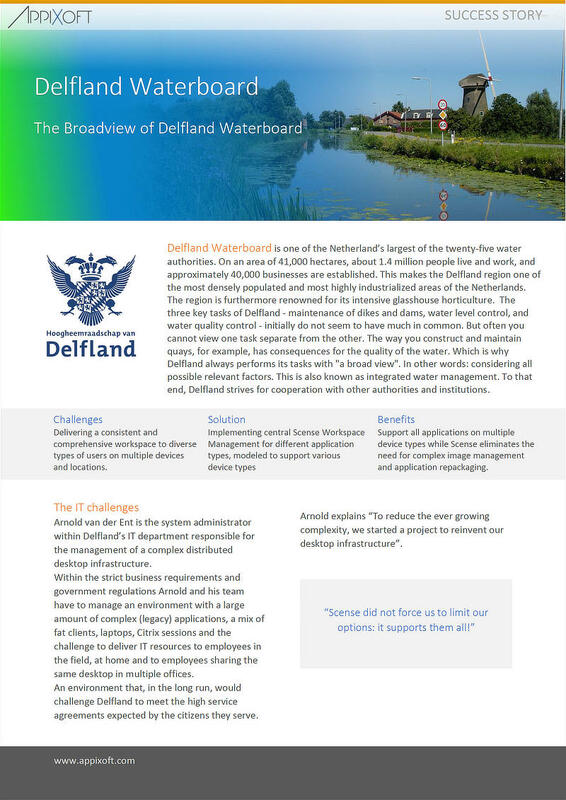 Learn how Scense simply embraced the new VDI environment at Delfland. Because Scense will land the personal workspace on any device or windows operating system, a migration is not a one way street. That’s why you can migrate your users and computers at your own pace. 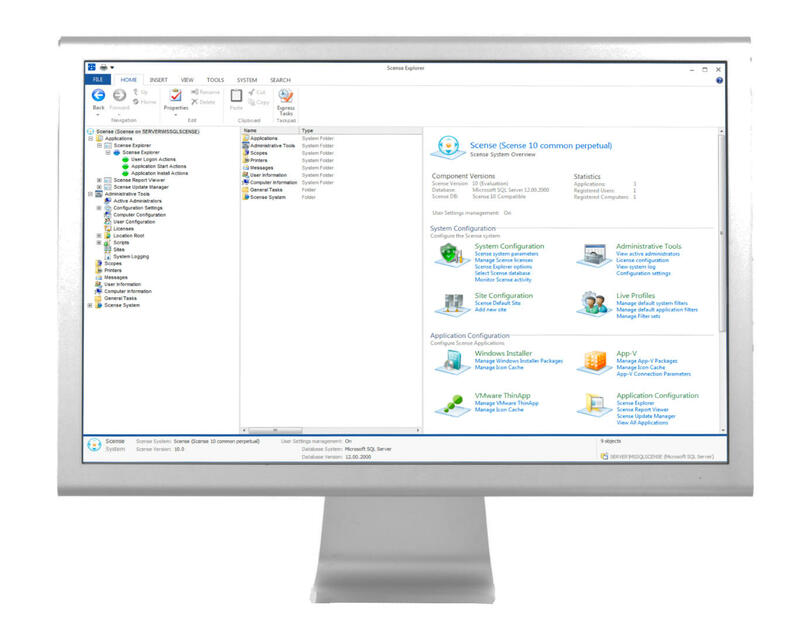 Because the users will always have a consistent workspace, the administrator is free to choose what type of device suits best for the situation at hand. Creating the golden image in VDI is as easy as deploying a new pc. In the end, every user can work on any device at any time, and get their own familiar workspace. Nowadays people don’t use just one device to do their jobs. A desktop at the office, terminal server-session from home or just a laptop connecting to a vdi-session for accessing sensitive data. Do you remember the hassle of upgrading hundreds, or thousands, of computers to the new Windows version? You don’t? Well just ask a gray-haired colleague (and this has nothing to do with age). Nowadays we just create a new golden image and deploy it automatically over the network or within the VDI pools. The tough manual labor is still there, but it has shifted to the workspace and applications. Once the new Windows 10 desktop is available and the first user logs in, ready to eat the proverbial pudding, that’s when things get exciting, and that’s where Scense will make your life so much easier.